Supermarket behemoth Tesco has launched a virtual supermarket at Gatwick airport where shoppers can scan popular items with their phone to arrange a post-trip delivery. The company has set-up 10 screens in the North Terminal at London's second airport featuring some of the most popular items in its range. The scheme is the first of its kind in the UK. 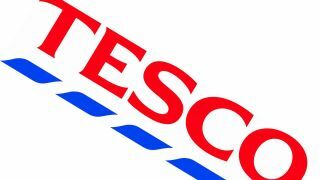 When shoppers see an item they'd like to add to an online order they can scan it using the Tesco smartphone apps for Android and iPhone. The idea is to arrange a delivery for when they return from a holiday, when there's no fresh food or essentials in the house. Pretty neat, huh? The screens will be piloted for the next two weeks and and were available for jet-setters to test out from Monday. The plan comes comes following a similar scheme which has proved successful in the company's South Korean market. There, the virtual supermarkets were placed in bus and rail stations. Tesco's Internet retailing director Ken Towle says: "We got a lot of interest in our Korean sites and it went viral, so we wanted to see if customers would use this, with a view to launching at more airports." The company is looking to capitalise on the rapidly-increasing number of Britons with access to smartphones. Currently, reports the Guardian, around one in 7 of its online orders comes through its smartphone portals.